Believe it or not, we here at Fangirly don’t always agree about everything in pop culture . It’s rare, but it does happen. And instead of settling our differences with a bare-knuckle fist fight or a You Don’t know Jack death match, we decided to take this less-than-healthy debate to the internet. For our first “Agree to Disagree” feature, we’ll be debating a topic that’s a little… sensitive. 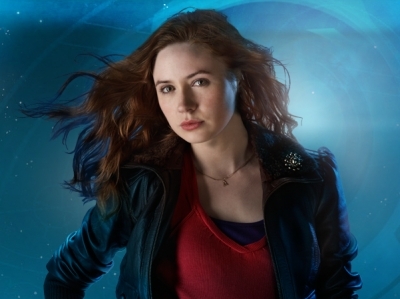 Here it is folks: Doctor Who’s resident red head Amy Pond: love her or hate her? 1) She’s a Who-pie. Or “Who Groupie”, for those of you not familiar with this term I just coined. She meets the Doctor once as a kid, shares a midnight snack of fish-custard, and all of the sudden he’s the center of her Who-verse! Now, to be honest, who can blame her? If a lanky, bow-tied time traveler showed up in my backyard I would probably show him the crack in my wall too (not a euphemism). But really, Amy, ever thought about a hobby? 2) Sorry Amy, the position of sassy ginger has already been filled. 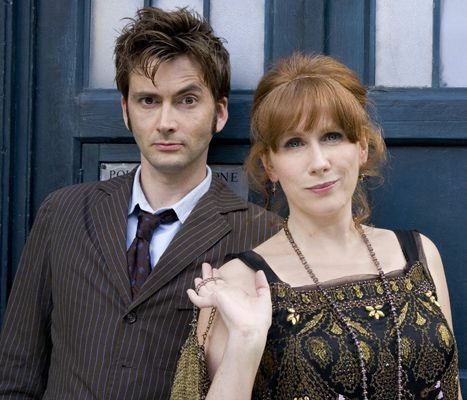 Donna Noble, the tenth Doctor’s third companion, was my favorite of all the show’s leading ladies. Not only was she smart, snarky, and sweet, Donna was one of the only companions who wasn’t in love with the Doctor. Instead they had a really cute brother/sister dynamic that I loved and found totally refreshing. 3) She’s so mean to Rory! 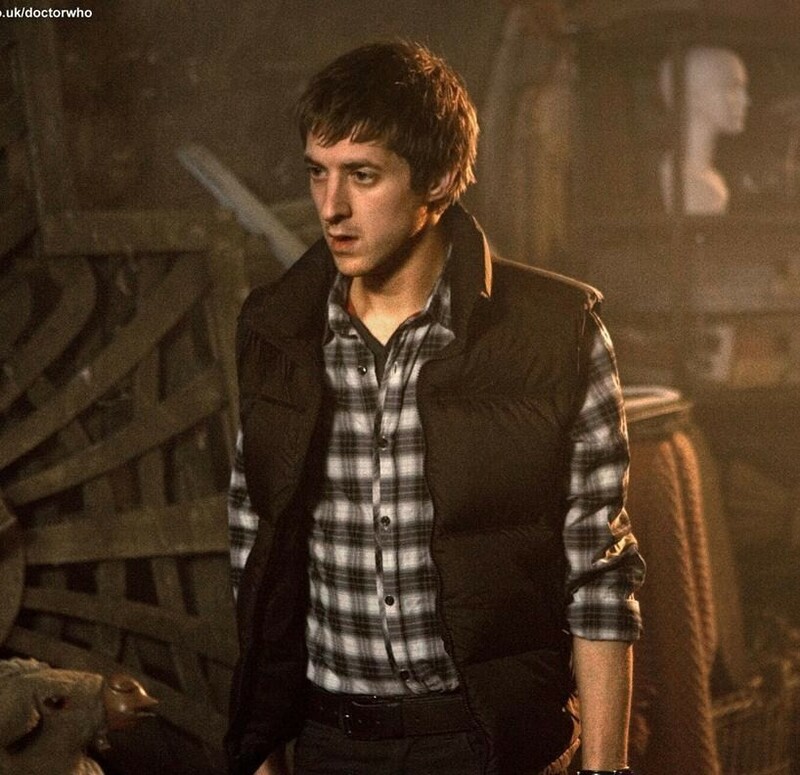 One thing Ellen and I can agree on is that Rory Williams is the perfect TV man. He’s funny, sweet, and looks awesome in a flannel shirt. But even with all that waiting for her at home, Amy still decides to run off with the Doctor. Again, we’ve reached a tricky grey area for me, because if given the same circumstances I’m not sure I would make a different decision. And even though they did eventually tie the knot and pop out a beautiful (if psychotic) half Time Lord baby, I still get the vibe that Amy kind of takes her husband for granted. I mean, why does it take half a dozen life or death experiences to remind her what a dream boat Rory is? Sorry Amy Pond, we’re done-zo. 1) Um, She’s a Who-pie! Who’s not? How can we fault homegirl? We have already dedicated more than a few posts to the good Doctor and I have no doubt that this will not be the end of it. If anything, I love her more for loving the Doctor because it is something that we can bond over. And just so you can’t use it against her, I’m going to defend her throwing herself at the Doctor. Again, can you blame her? Also, I found it refreshing to have a companion that didn’t care about trying to steal the Doctor’s two hearts. She knew what she wanted and went for it. Bowties are cool… on the ground at the foot of the bed. 2) She’s Sassy! I know that this can be said about most of the companions, but Amy’s got it in spades. She don’t take no crap, not even from the Doctor. If you need proof of this, just look at “The Beast Below” or “Victory of the Daleks” where she basically has to say to the Doctor, “Shut up, you’re wrong. I’ve got this.” Also, where do you think River gets her sass? Rory? Proof is in the gene pudding, Whitney. 3) She Still Chose Rory. Say whatever you want about her running off with the Doctor, etc., but in the end she still married Rory. When both of her boys are in danger, she will still always choose Rory. She still made that half Time Lord baby with Rory (somehow). What’s that? You say you’re still not convinced. YouTube, let’s roll the tape! Hate to say it, Whitney (actually, no, I love to say it), but I think I win this one. 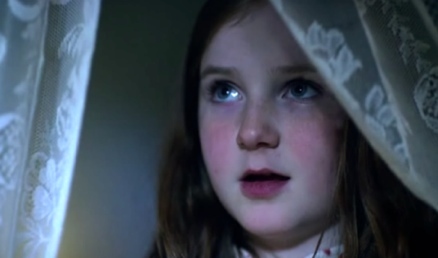 Long live Amelia Pond! I thought the chick that ended up being a Dalek in the last show was hot! Bring her back!!!! Mike, I think she’s the new companion, so keep your pants on. Whit you mis-spoke Rory’s devotion, he didn’t wait years for his time traveling fiancé, he waited eons. You are forgetting my favorite Rory: Rory the Roman. Ellen, I have to agree with Whit. Amy reminds me of my least favorite high school girl–the I’m-so-cute-I-can-break-rules-and-get-away-with-it girl. Ha! Mama Weldon has spoken! WHITNEY WINS! Ok, well Mama Lloyd gets to chime in. I love Amy. I like that she is sassy and brash. And Doctor Who is all about breaking the rules. That’s how he survives… by thinking outside the box. Maybe I love the Ponds so much because they are the companions I started watching and fell in love with first, but I love their quirky marriage and I love both of them. I think Amy is amazing! Mama Lloyd has spoken!